Recently, I worked to equip myself with the tools, once again, to protect myself and my family as I go to the grocery store, bring my kids to their basketball practices, go out to work and attempt to live what should be an ordinary and peaceful day, each day, as a working mom raising six boys. I have now completed a trifecta of anti-terror courses. 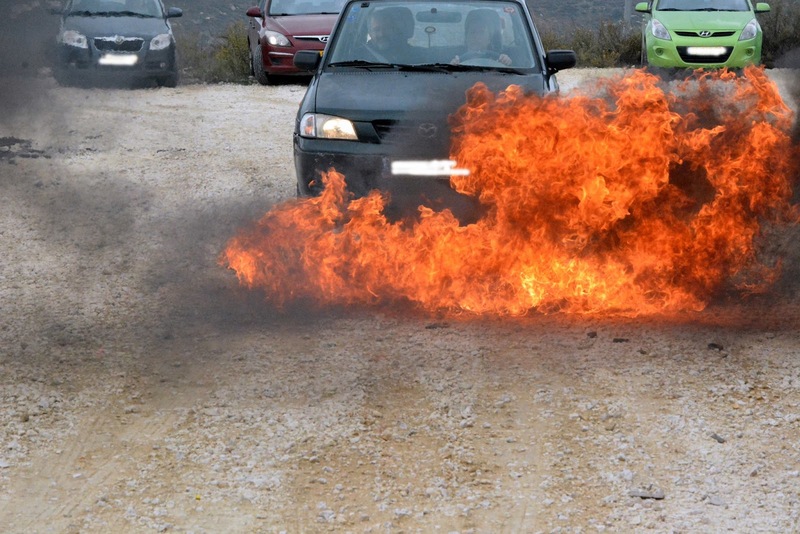 The trifecta includes a three hour defensive driving course, a one and a half hour private counter-terrorism gun training and a two hour hand-to-hand self-defense course to defend against stabbings. Yes, I certainly feel better prepared for the day-to-day events unfolding around me in Israel right now. But boy do I feel weary. I’m weary of the constant attacks, including the shocking news recently when an 11 year old stabbed a security guard on the Jerusalem Light Rail. I’m weary of the constant and never-ending threat. Yet, we carry on and prepare ourselves as well as we can and we continue to live our normal, happy, healthy lives to the best of our abilities. I’m fortunate to have an academy five minutes from my home where they have amazing resources available to help me, and others, to be better prepared. Caliber 3 was established in 2002 by Col. Sharon Gat and has become a leading counter-terror and security academy in Israel. They work closely with the IDF, Israeli Police, local rapid response teams and government agencies. They also work with tourists who want to get a taste of life in Israel, and they work with regular people like me. 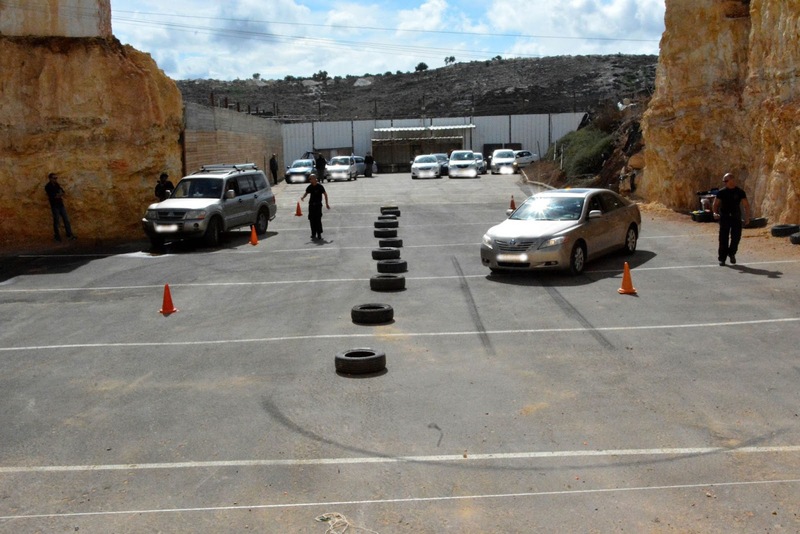 They offer Krav Maga for children and adults, shooting classes at all levels, safety and awareness classes and this defensive driving course. I’m scared of many things, and at the top of the list is my fear that something will happen while I’m driving. 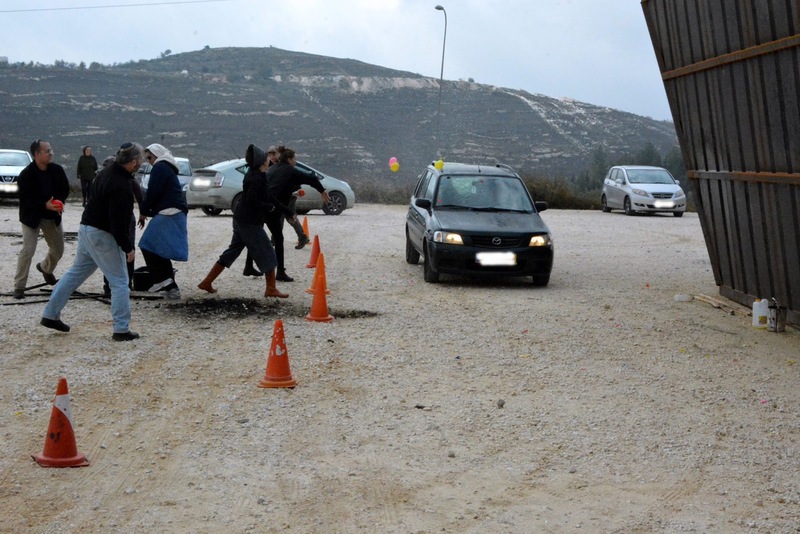 It’s not out of the realm of possibility that we could get stoned, have Molotov cocktails thrown at us, find ourselves facing a man-made barrier on the road or encounter a violent riot or protest. With these fears in mind, I decided to take this three hour course. About a dozen of us showed up with our cars and got ready behind Caliber 3. In the class, we discussed how to back out of dangerous and impassible situations, how to get an injured passenger out of the vehicle, how to swerve around obstacles in the road (both forwards and in reverse), how to drive through fire, how to deal with objects being thrown at us (in this case water balloons) and how to quickly change a tire and get back on the road. The course was highly professional and informative. What struck me throughout was, first of all, how sick it was that I was taking this course. I thought to myself, where else, in the entire, world do people need to be taking a course like this? And why should we have to? The other thing that struck me was the shared stories and the background that we brought to the course. 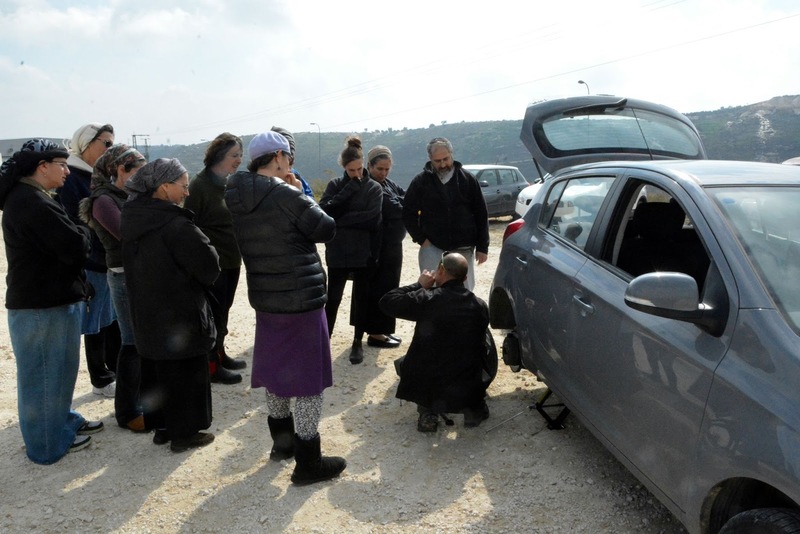 When the instructor explained a topic, there was always someone who said, “Oh, you mean like the incident that happened in Kiryat Arba last week.” Or “Well, on the Tekoa road when this happened….” And there were nods all around each time. There was a real, concrete, this-already-happened story to share for every situation. Typically, if you take a self-defense course or a shooting course, you don’t have prior experience with these exact situations at the tip of your tongue. And that is the difference. Because we are all sharing in this collective horror here in Israel; and we are all following every single story as it unfolds. Fortunately, our lives in Israel are extraordinary. They are rich beyond imagination, overflowing with blessings, crowned by a glorious four- thousand year history and bursting with hope for the future. Thank Gd this is true, since our current situation is anything but ordinary. We must constantly remind ourselves that we are here, living out the promise offered to Avraham Avinu thousands of years ago; that our children are living their heritage and that our lives here matter. Because sometimes the day-to-day struggles and the trifecta that I carry can become very heavy baggage to bear. But bear it I do, and we do, for a better tomorrow. For a chance to continue living in our Land and continue offering our children the promise of a better tomorrow – but one where we are prepared for the situation today. Note: This article was first published at the Israel Forever Foundation website.